November 2018 - Christmas is fast approaching and, to add a touch of excitement in the run up to the special day, Le Cordon Bleu Paris and Beaugrenelle Shopping Centre have joined forces to put together a chocolate themed event. This year, add a special touch to your Christmas tree! Le Cordon Bleu Paris institute Chefs, Jennifer Pogmore and Vincent Valton, will be at Beaugrenelle Shopping Centre on Saturday 24 and Sunday 25 November 2018, hosting a gourmet workshop for children. During this free workshop, lasting approximately 10 minutes, children will have the opportunity to make their very own chocolate Christmas bauble which they can take home. 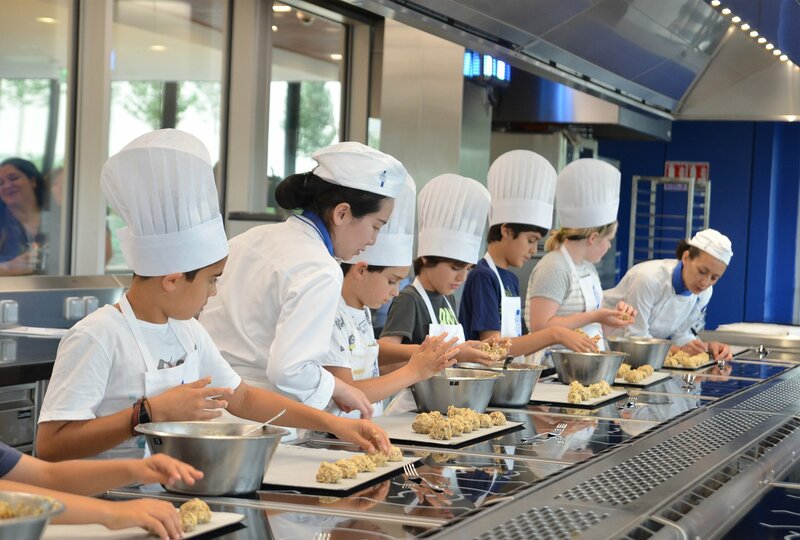 These young pastry chefs and their parents will have the opportunity to discover the range of workshops for children available at Le Cordon Bleu Paris. The "L'École de la Pâtisserie" (Pastry School) book will also be available for sale in French and English, the perfect Christmas gift for all food lovers! The workshops last 10 minutes, please register for the time slot of your choice and present your confirmation email upon arrival. Maximum 8 people per workshop.